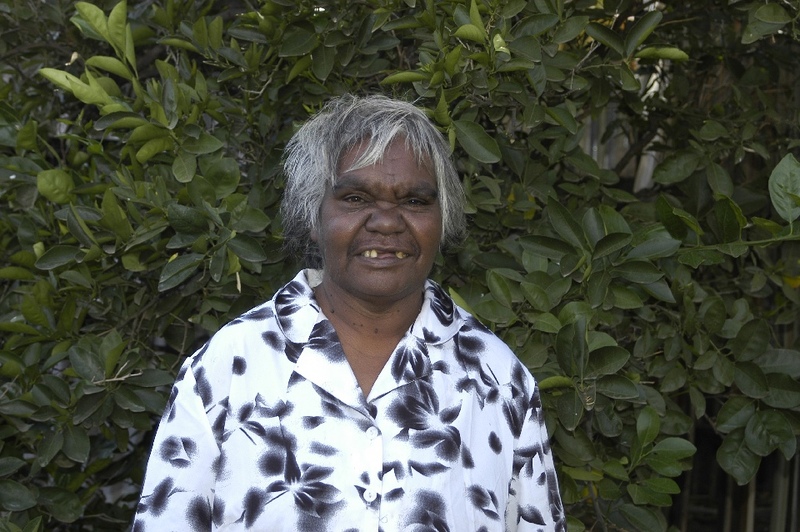 Jeannie Petyarre (Pitjara) was born in c.1957 on the Boundary Bore Outstation of Utopia in Central Australia. An established artist in Utopia, Jeannie is the niece to the late Emily Kame Kngwarreye. In the early 1980's, when Jeannie was living at Boundary Bore Outstation with her family, husband Henry Long Kemarre and their six children, Jeannie was introduced to the art of Batik. Jeannie was encouraged by her aunt, Emily Kngwarreye to continue to paint her family's Yam Dreaming. In 1990, her work was chosen to be part of the Robert Holmes a Court Collection, which toured extensively and was featured in their book "Utopia - A Picture Story". All of Jeannie's Dreamtime stories come from the Alhalkere Country and are passed down to her from her father's side. Jeannie paints the Yam Seed, Yam Leaf, Yam Flower Dreamings, body paint, Mountain Devil Lizard and My Country Dreamings Jeannie's tribal name is "Angiltha" which means little lizard.